Every second Tuesday of the month, a local business in the Green Bay area hosts a Rising Tide Society Meeting. Rising Tide Society is a community for creative business owners with chapters all across the country. It began in 2015 in only 12 cities (Green Bay was one of the first!) as a way for creatives to support one another through education and face-to-face networking. But this isn’t your daddy’s networking group; there are no neckties or elevator pitches here, just real people getting to know one other, sharing ideas, and supporting one another’s goals. This is because Rising Tide is founded on the quote “a rising tide lifts all boats”. We know there are plenty of opportunities out there for all of us because we each offer something different (even those of us who work in the same industry). Believing this frees us up to be open with one other no matter what stage we’re in, because nobody is guarding their plans or backstabbing their way to the bottom. It’s about community over competition every time. Each Tuesdays Together meet-up has a theme and comes with an informative guide on the subject. April’s theme was SEO and Alex VandeHei of HeiPro Digital gave an informative presentation to help us understand how Google “reads” our sites and what changes we can make to improve our online visibility. Alex also answered questions on this tricky subject, and Nicole guided everyone through small group exercises on the user-friendlieness of our individual websites. I found both the presentation and exercise incredibly helpful. For me, the best part of Rising Tide is getting out of the house and meeting real people facing the same challenges as you are. So much of being an entrepreneur is going on it on our own, stumbling through problems and inventing solutions, and sometimes we just need to be with people who “get it”. Rising Tide is completely free and welcoming to all, so we encourage you to join us at our next meeting (May’s meeting will be the first Tuesday instead of the second due to an unusual conflict) and you can always find event details in the Facebook Group. Special thanks to Nicole, Sarah, Alex, Angie, and everyone who offers up their time and talent to make events like this happen. See you at the next meeting! As is the case for many Green Bay locals, Kavarna Coffeehouse tops the list of places we want to hang out. In my college years, it was a luxury to gather with friends over board games and lattes; in my newly married years it was a short bike ride from my home and a place to connect with the hubby and work on our various creative pursuits; and as a new mom it is the coffeehouse that has a play area (ingenious!) to keep my roaming 15-month-old occupied while I get to dress cute and interact with adults. No matter your age or your reason, Kavarna is the place. It’s full of positive energy, natural light, playful architecture, and, of course, scrumptious treats. The news of Kavarna changing hands may have come as a shock, and you might be fearful that your favorite spot is going to lose all its best qualities. But the new owners, Kayla Viste and Mike Hastreiter, are friends and clients of ours, and we are happy to say that is not the case. “We love Kavarna for all the same reasons the average person loves Kavarna,” Mike says, as we sit down over coffee. “And we wouldn’t come in and get rid of all the things we love. That just doesn’t make sense,” he states simply. Mike was born and raised in Green Bay, and went on to college at UWGB where he earned his bachelors and masters and met Kayla. Kayla grew up in Door County, and, after earning her bachelors at UWGB, attended UIC for her graduate degree. 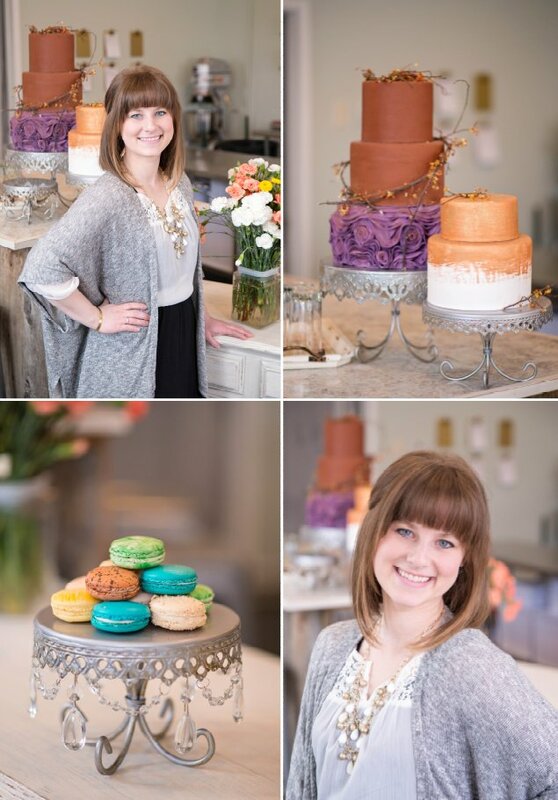 While attending college, Kayla worked as a barista at local coffee shops and found she loved the atmosphere. “All throughout my schooling working at those places, I always dreamed of owning my own coffeeshop,” she says. Years later, the couple began making plans to enter the world of entrepreneurship, and Kayla reflected back on her experience as a barista, which drew them to owning a coffee shop. When they found out Kavarna was for sale, they knew it was the perfect fit. “I love that Kavarna is community center that brings people together and that is a really good feeling we want to keep going,” Kayla says. Kayla and Mike plan to run Kavarna full time. They believe a business as big and community-centered as Kavarna requires all their attention. “We’ll be here, we’ll be around and hopefully people can get to know us,” Mike says. “We strongly believe that if you’re going to own a business, you should be all in. We want this to be our living. We want to be here when we’re needed, you know? Who could have a better office than this anyway?” jokes Mike. There are no big changes on the horizon for Kavarna, but there are a few small things to look forward to. Other than the introduction of fresh kombucha, they are looking at making a few upgrades to the play area and starting a new arts program. “We are also super excited about introducing Dark Roast Art nights where adults could come for arts and crafts night,” Kayla says. “Our general hope is to work with local artists to provide this,” Mike adds. The adult classes will take place in the evening (possibly monthly or bi-monthly) and occasional daytime classes called Light Roast Arts will offer STEAM programming for parents and children to enjoy together. Whatever your favorite coffee drink, Kavarna will still be there to serve it. You can be sure we’ll be there as well, devouring tortellini pasta salad and chocolate chunk cookies, and chasing a bald baby who likes to wander around scowling at strangers. Cheers! As a photographer, it’s not shocking that I’m a visual and hands-on person. The way things look and feel is incredibly important to me. I’m affected by light and texture, and I only like to have things around me that absolutely love. 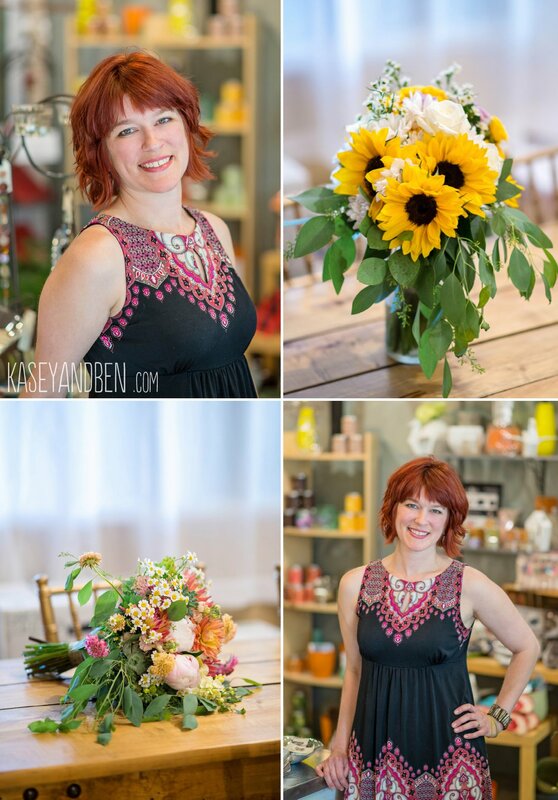 All these personality traits affect what kind of photographer I am and how we run our business. When we were starting out (post-college, doing photography as a side-hustle), everyone was shooting short sessions with little guidance, burning discs left and right, and I couldn’t find the value. I felt I had lost what lead me to photography in the first place. I took a step back and reevaluated. I wanted to know people and what they were like so the images could feel like them and their stories. My visual side wanted to help them choose clothing, locations, and time of day, and my introvert side wanted to feel better prepared for the sessions. This is why we changed how we do things. Every session begins with an in person meeting where we can get to know our clients and their needs, provide guidance, and prepare to meet their overall goals. A start like that helps everyone feel relaxed and comfortable at the session and in turn creates better, more meaningful images. The second part of this was what happened after the images were taken. I realized what a disservice we were doing our clients by burning discs and sending them off to (most likely) get lost in the bottom of a drawer. We never got to see our clients’ response to the images or make sure they were happy with the results. Families were overwhelmed by the task of choosing what to do by themselves and froze up, or worse, ordered cheap prints that faded within the year, canvases that warped, and substrates that cropped important elements from view (you know, like someone’s head). It made me sad to know the images we worked so hard to create hadn’t gotten to be enjoyed in real life. Now we work with our clients to help them see how images can compliment each other, give notice of how things will crop, and help them narrow to their favorites to fulfill their overall session goal (whether that’s 50 images for an album, one images for a canvas, or five images for family and friends). What is important is that the process feels effortless and in the end, our clients leave with heirloom quality prints and products. Because of this, choosing which vendors we work with is very important. We want our products to be warm, beautiful, and built to last. This not only applies to our prints but also to our digital options. When a family chooses to add high resolution images to their package, We want that branding to follow through with warmth and beauty. We are happy to have found a vendor whose usbs fit that image and back it up with simple cross-platform usability. USB Memory Direct has become that company for us. 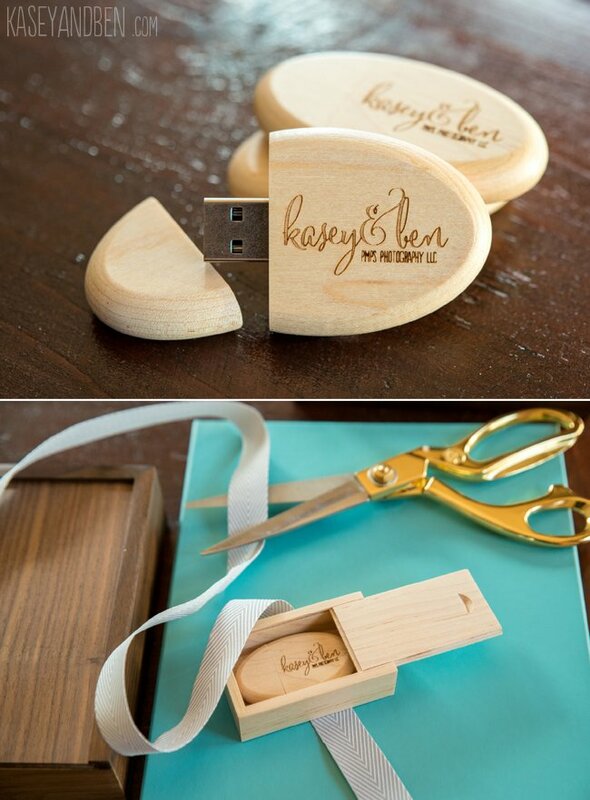 We now feature their round “carpenter” design pine usbs with our logo engraved. 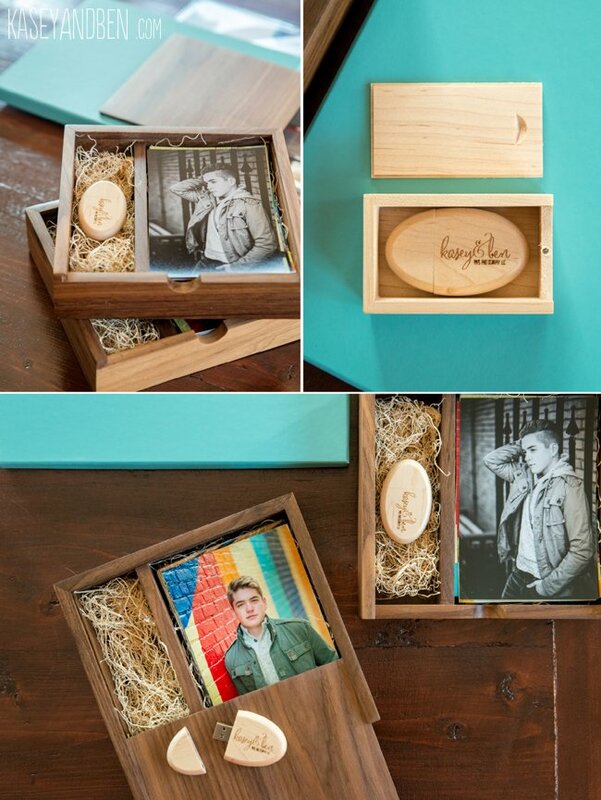 They are the perfect companion to our line of prints, albums, and wall art. Special thanks to Taylor at USB Memory Direct for making the process simple! If you have questions about any of our products or the experience we offer and what to expect, please send us a message! We love to hear from new people! Learn more about USB Memory Direct HERE. Those of you who know me know I love historic buildings, diy projects, and eclectic design (all you have to do is walk into our home to see this is true!) Edit. Salon perfectly fits that description, from their sliding barn-door made from an old sign to their rustic-chic work stations, it is warm, trendy, and welcoming. 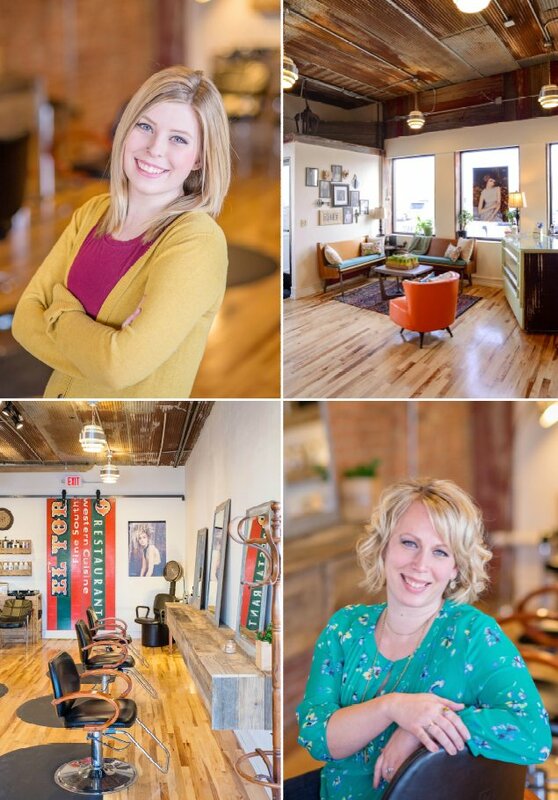 The salon is newly opened this year and owned by two talented Green Bay stylists, Ashleigh and Amber. With all the good stuff to stop in downtown De Pere for (just one of them being the amazing Cupcake Couture cupcakes!) you can add Edit. Salon to the list. You will find these women easy to work with and the space, inviting. Check them out on Facebook: http://www.facebook.com/editsalon123 or stop in!